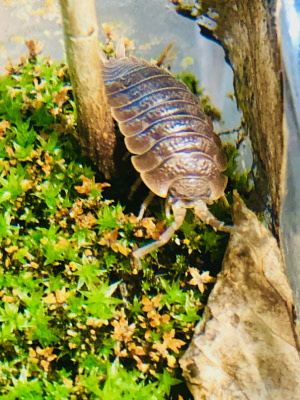 Looking for ants, crickets, sow bugs aka roly poly for sale. If so insect kits has all the bugs you need. 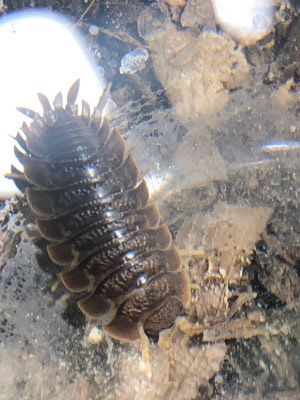 In this week pill bugs. 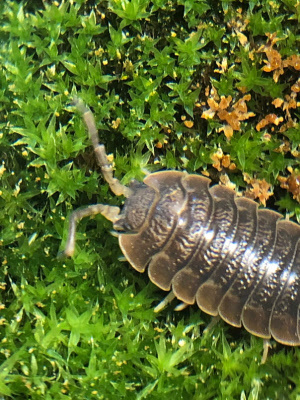 These creatures many people feed to spiders and other creatures and are very low maintenance. 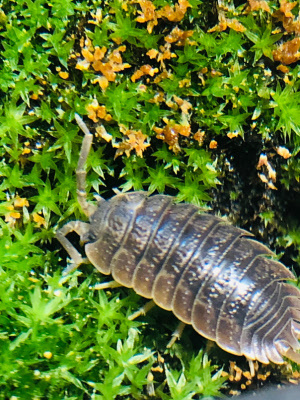 The roly poly is also very easy to breed and requires decomposing mulch or wood and a nice moist spraying 1-2 times a day. We also sell food fot the roly poly. When he was a young child, Isaac's mother was startled by the strange expression on his face and asked him what was wrong. He was unable to reply so she became alarmed by this apparent affliction. Isaac, in an effort to calm his mother spat out a mouthful of woodlice. When asked why he had done such a thing, he replied that he had thought that they would probably tickle his tongue as they walked about inside his mouth. Apparently they did tickle - although his mother did not appreciate this turn of scientific curiosity.